PhraseExpander is a comprehensive office tool that helps saving time typing texts, filling forms, launching programs, opening websites and automating common tasks by using customized shortcuts. It can also correct your spelling mistakes. When enabled, the program monitors the keyboard as you work. Regardless of what application you are using it can suggest words, phrases, and actions you may want to perform. 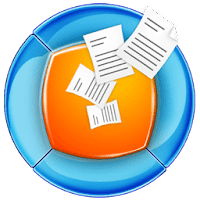 PhraseExpander can also enhance your Windows Clipboard by giving you instant access to the latest texts that you have copied into the Clipboard. PhraseExpander is available in three editions - Standard, Professional and Pro Server (Compare Editions). Ability to set the confirmation key from the static configuration file. FIX Sentence case macro cannot be inserted when added via the Macro button. Disclaimer: Direct downloads for the lastest version of PhraseExpander 4.9.9.1 are provided by the official software's author, we can't guarantee safety, availability or download speed. Moreover, we don't and we won't provide any pirated/illegal versions or tools. We recommend you to avoid it as these methods can harm your device. If you like the software, buy it to support the developers. (We provide software discounts for many worldwide brands).